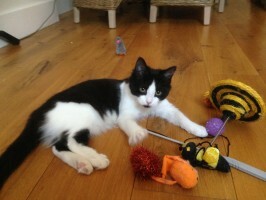 Want the best kitten sitting Ladbroke Grove? Catnips Of Notting Hill is a cat care company established in 2009 by cat behaviourist and specialised cat groomer Anita Kelsey. Starting out with a handful of clients Catnips reputation grew, via word of mouth and excellent 5 star client references, to become the leading Notting Hill cat sitting company in the heart of the area and supplying the very best kitten sitting Ladbroke Grove. To enquire about kitten sitting Ladbroke Grove and surrounding areas please email:info@catnips.co.uk with your dates, post code and contact details.